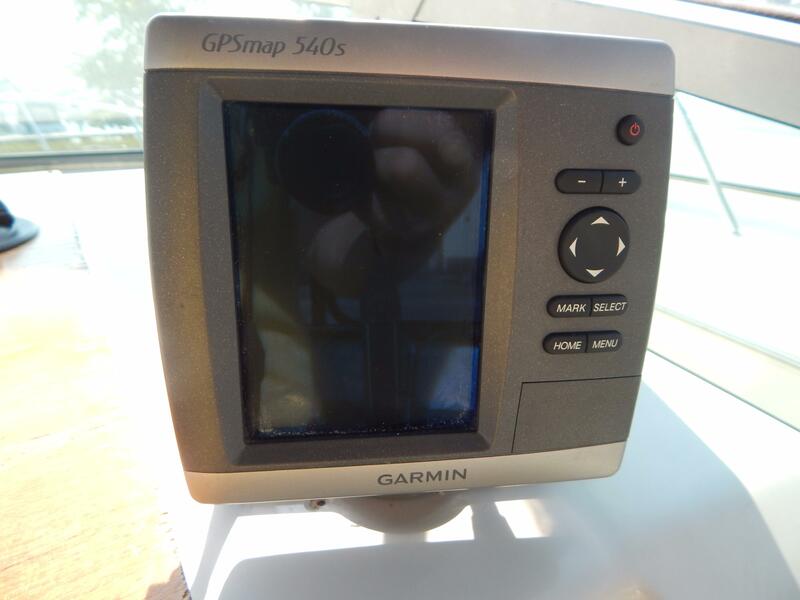 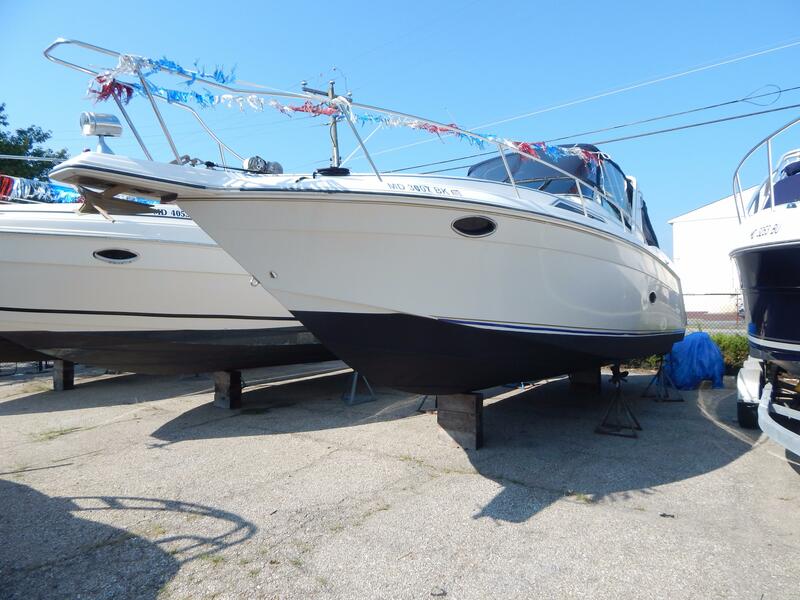 HERE IS A GREAT OPPORTUNITY FOR A NICE BOAT. 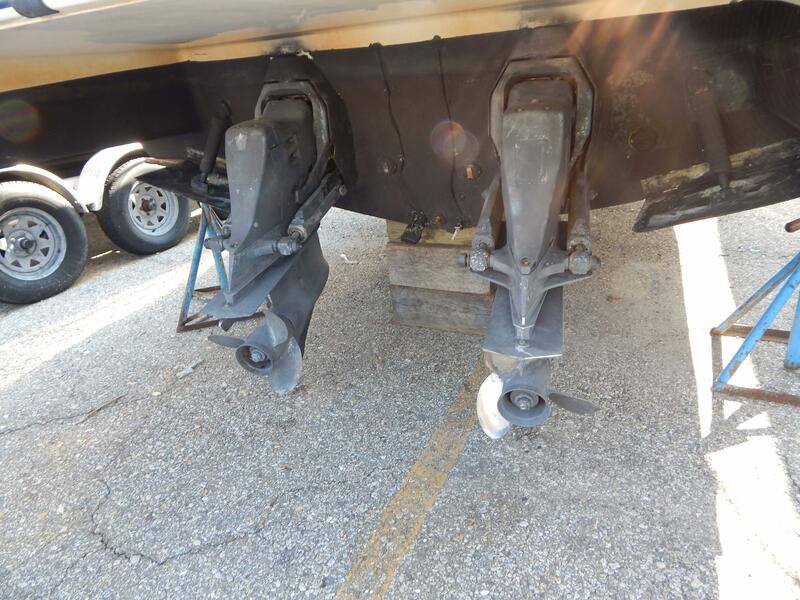 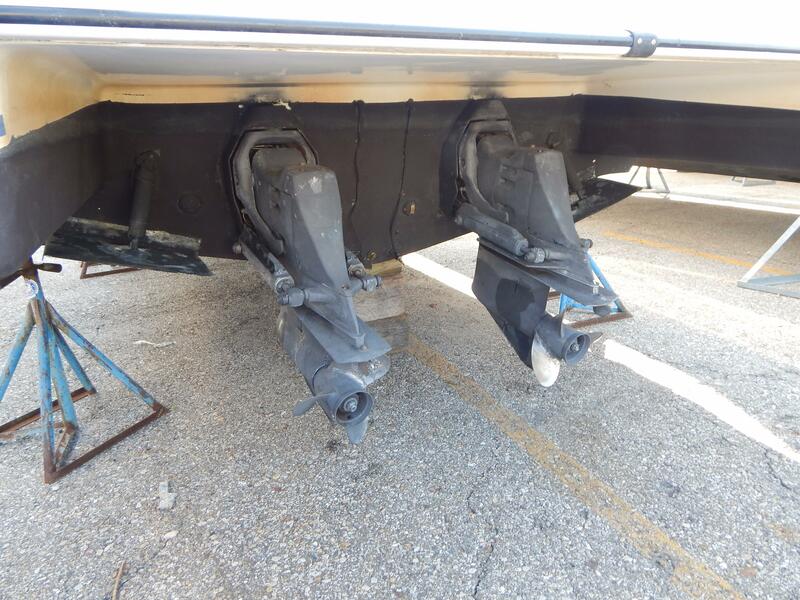 SHE IS A PROJECT BOAT... SHE NEEDS A TRANSOM PLATE FOR ONE OF HER OUTDRIVES. 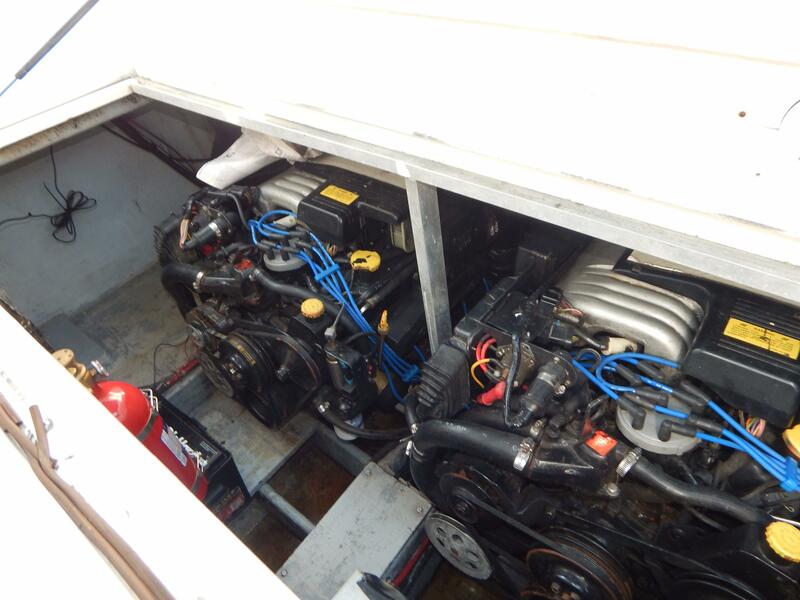 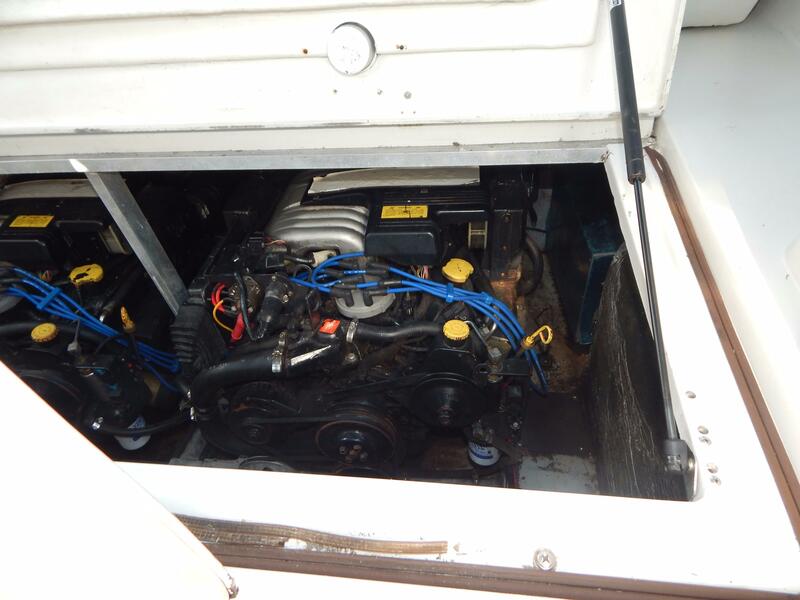 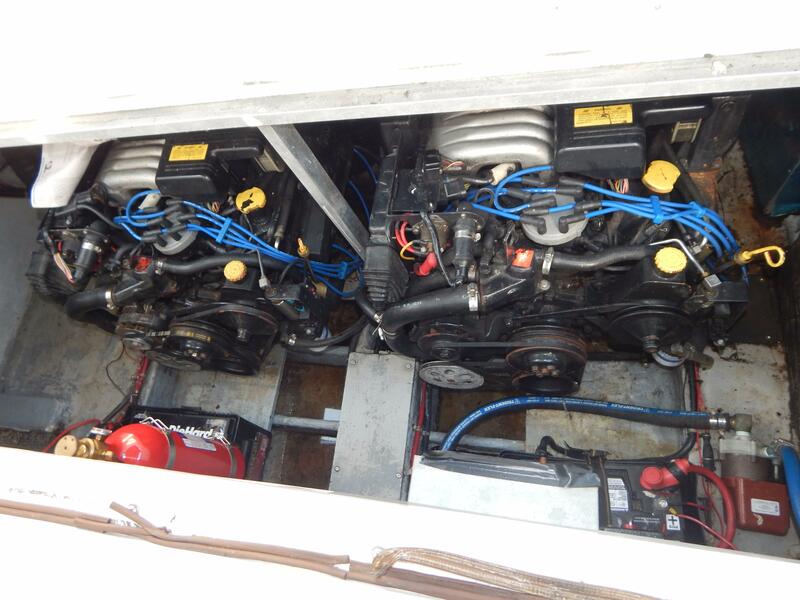 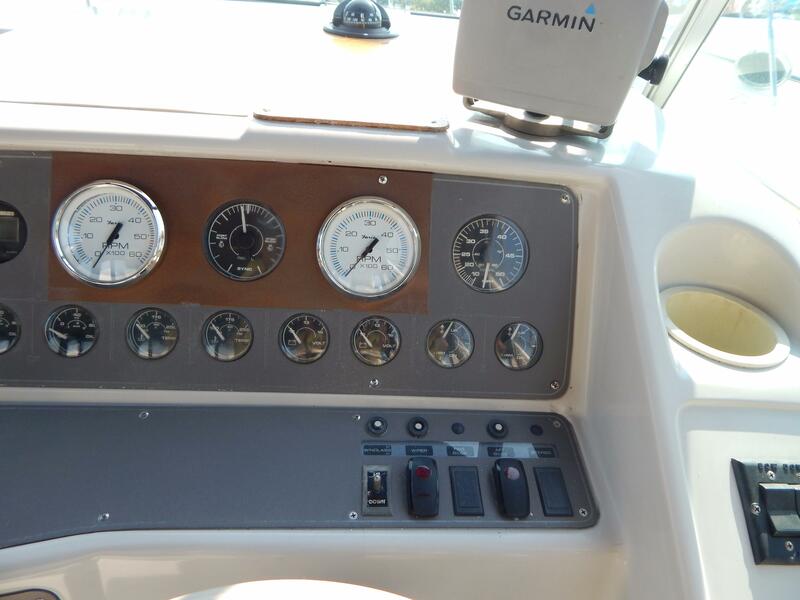 THIS IS A WELL CARED FOR "300 COMMODORE" THAT IS POWERED BY TWIN VOLVO PENTA 5.0L FUEL INJECTED I/O'S WITH ONLY 560 HOURS. 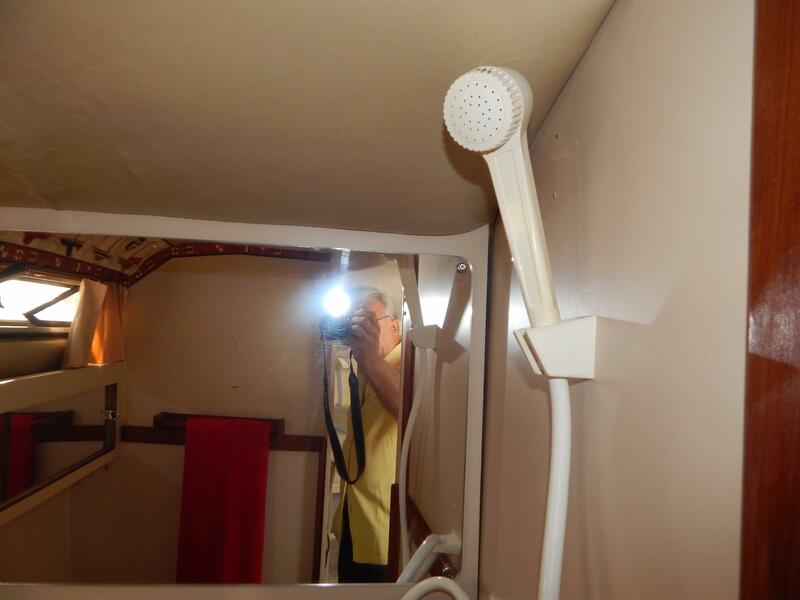 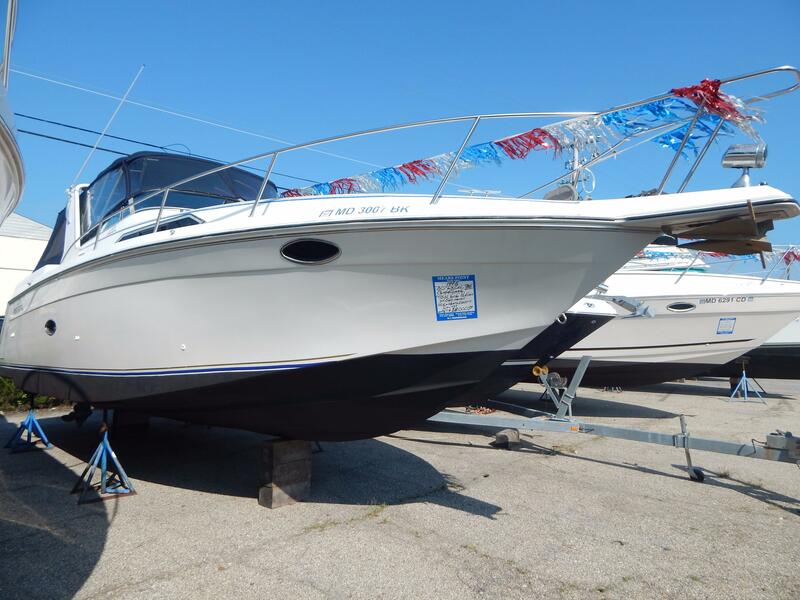 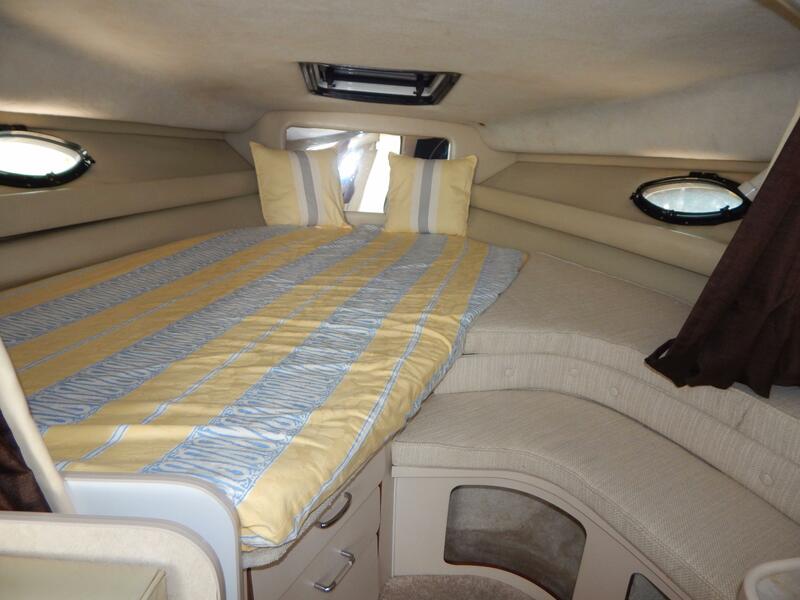 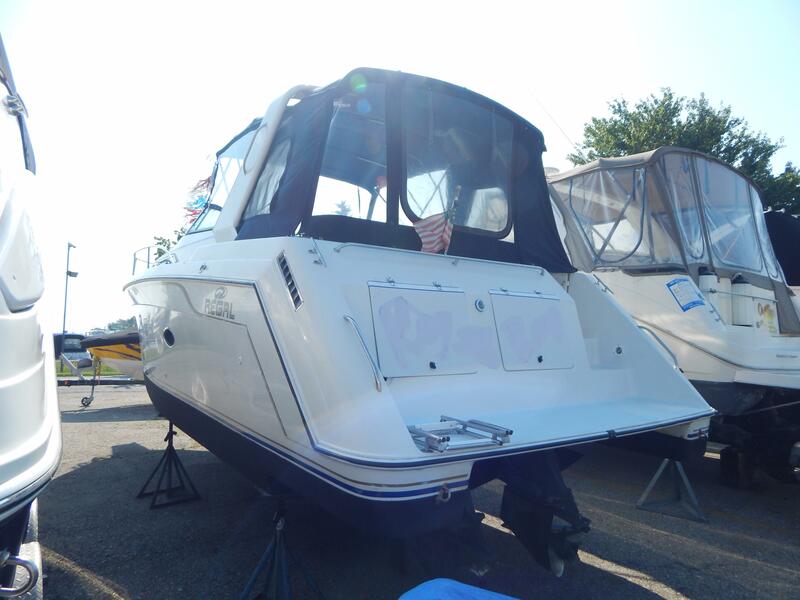 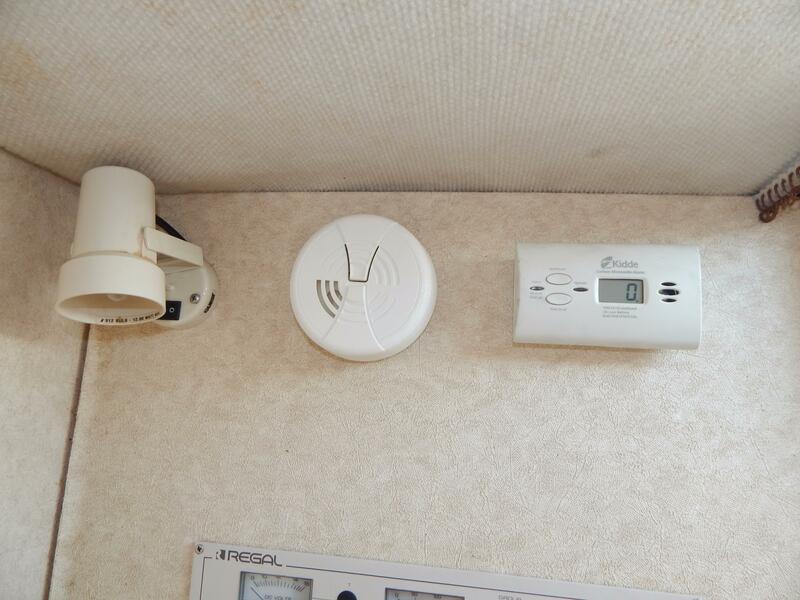 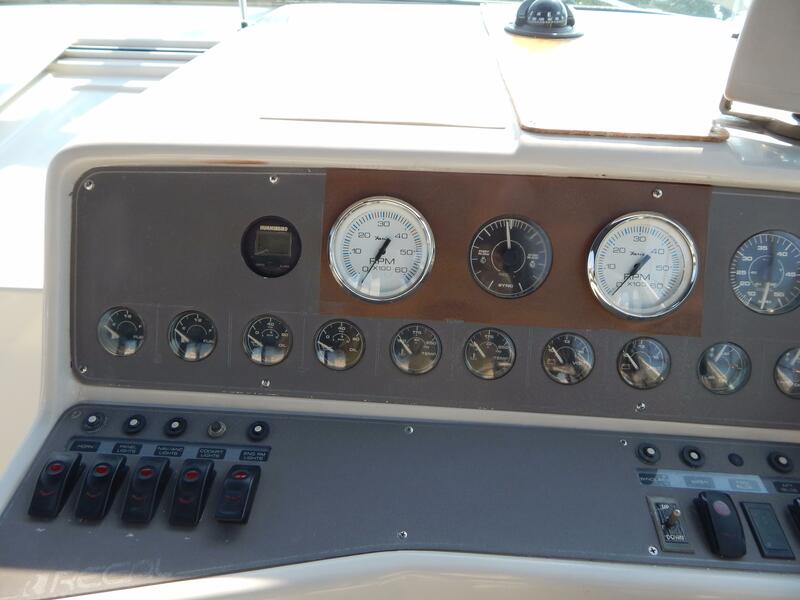 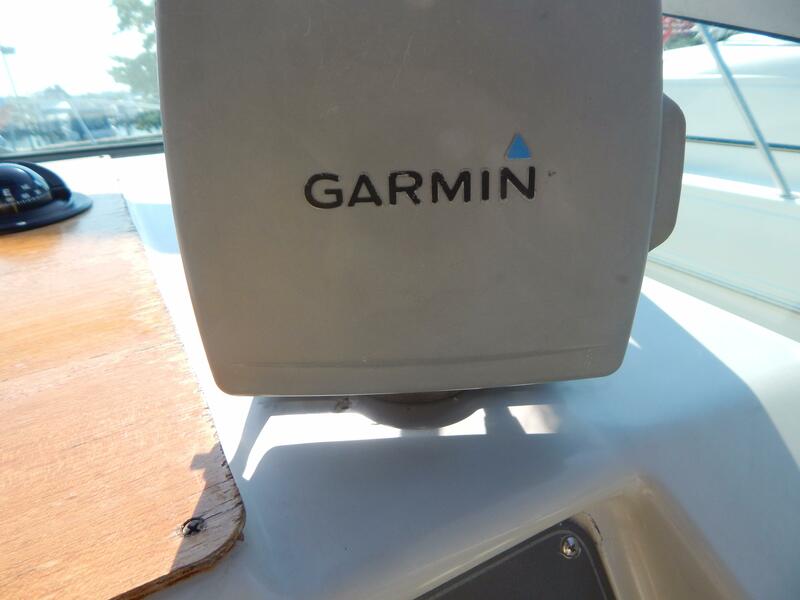 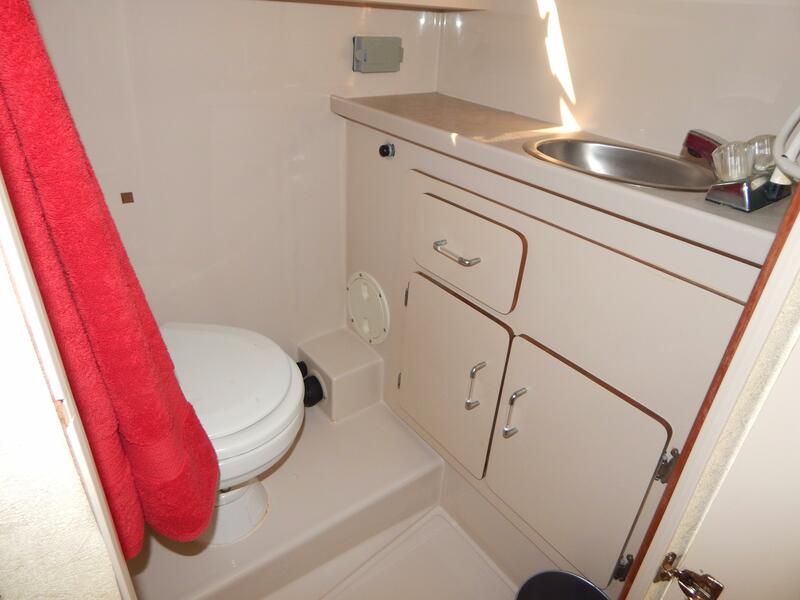 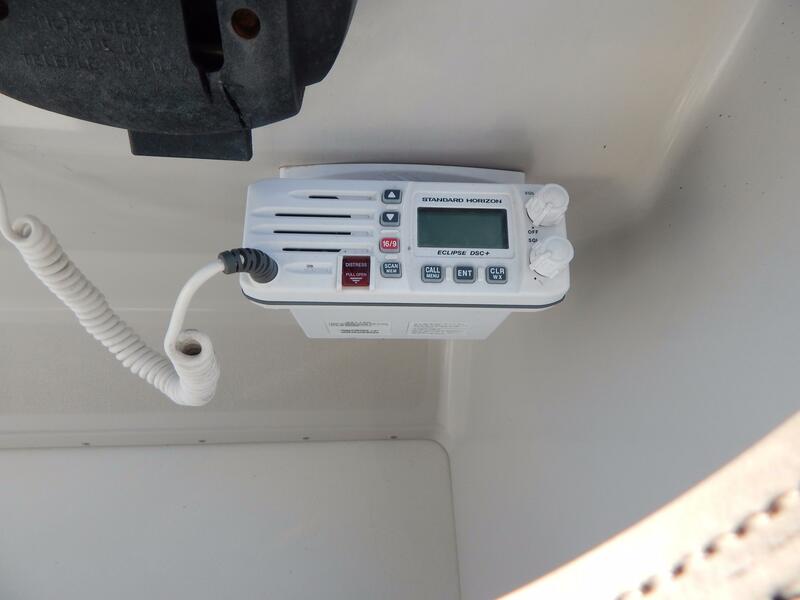 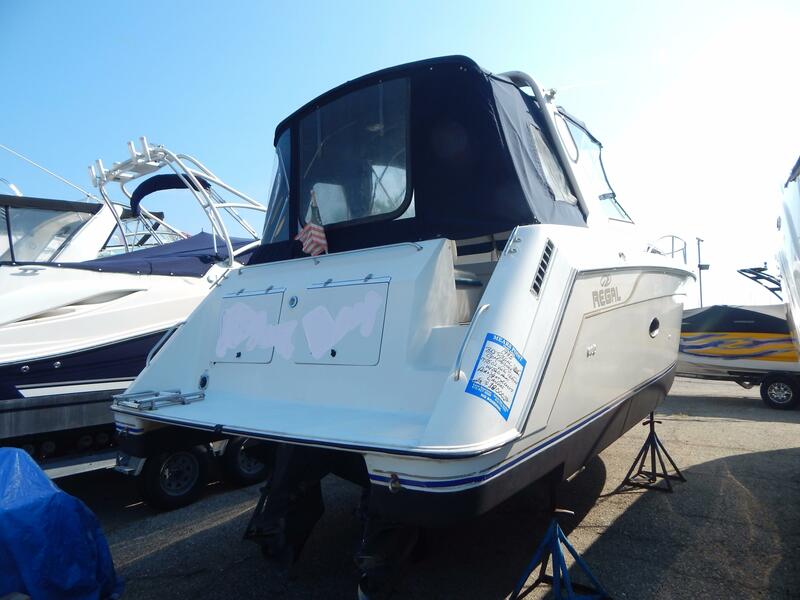 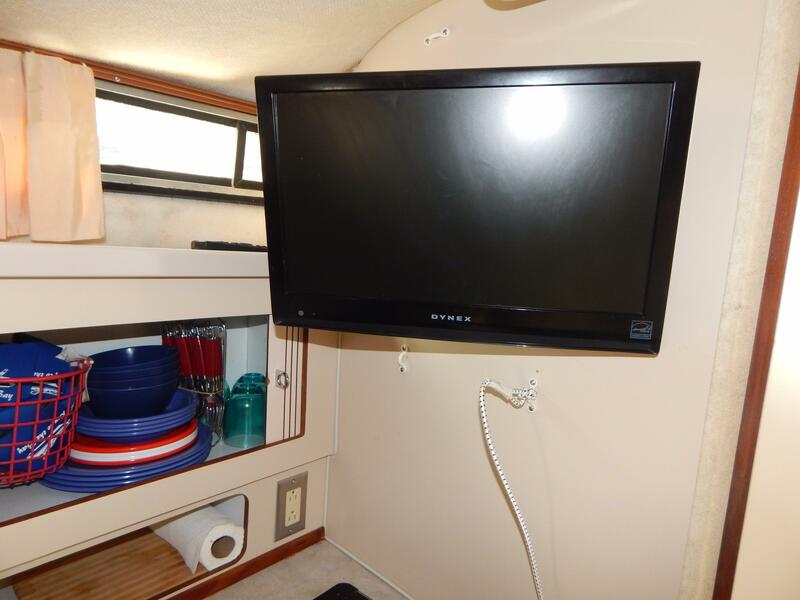 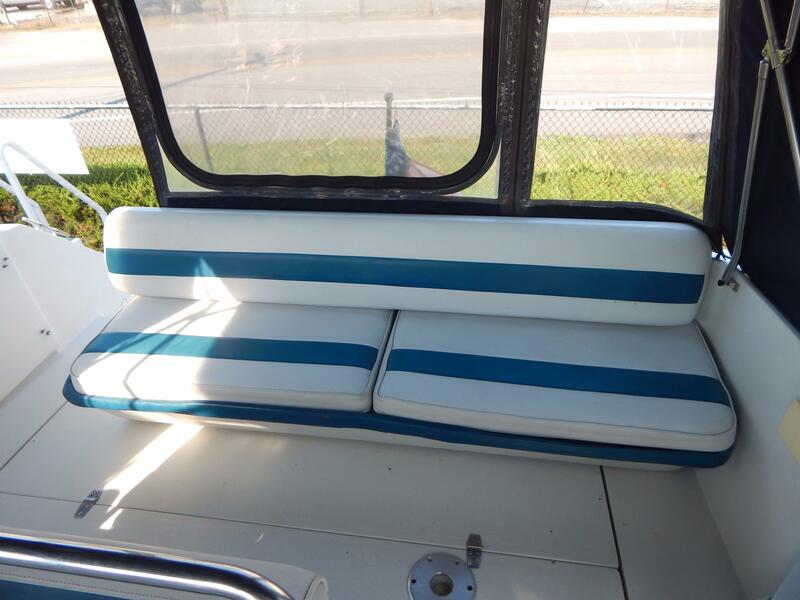 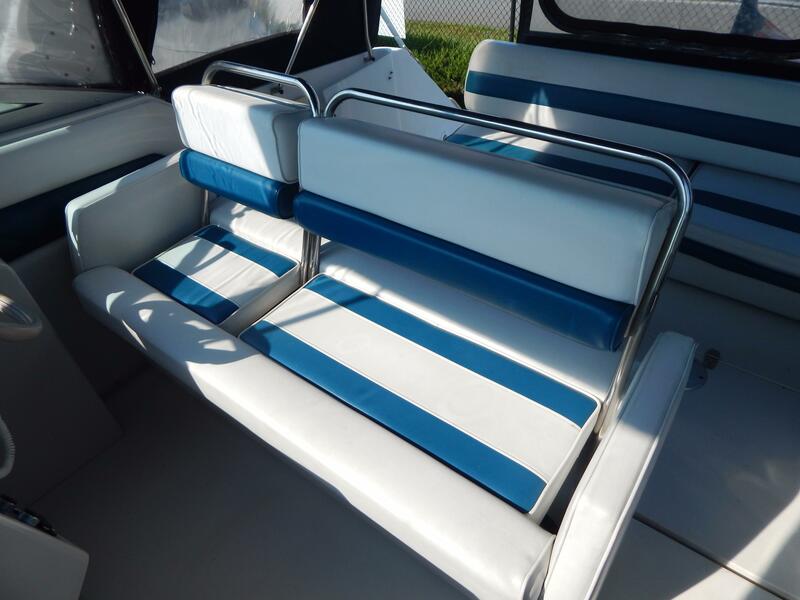 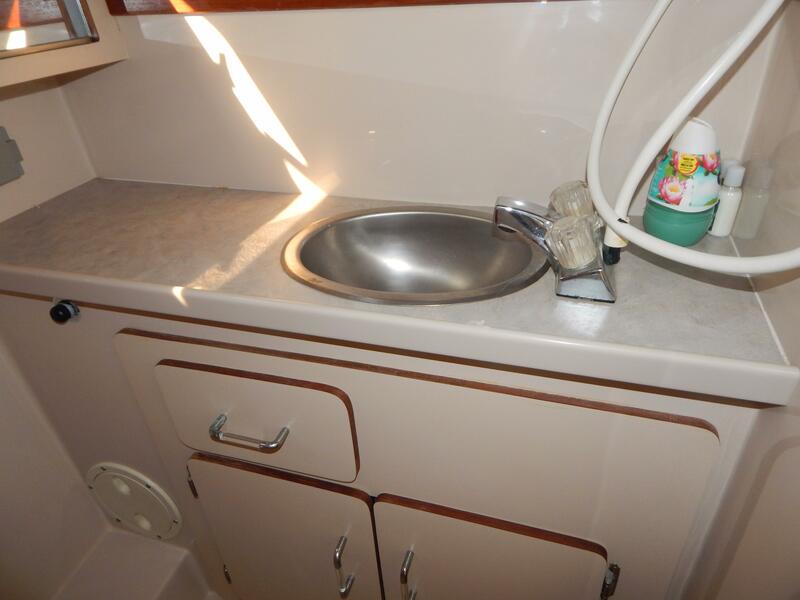 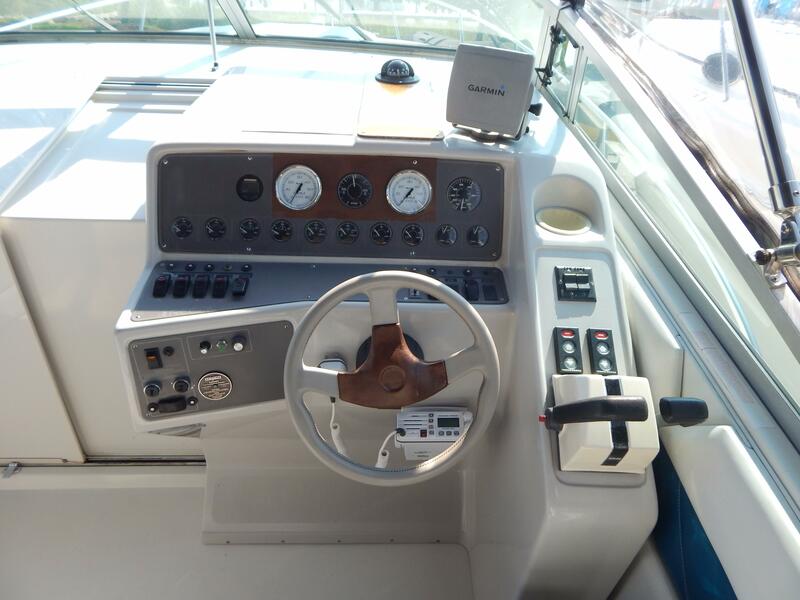 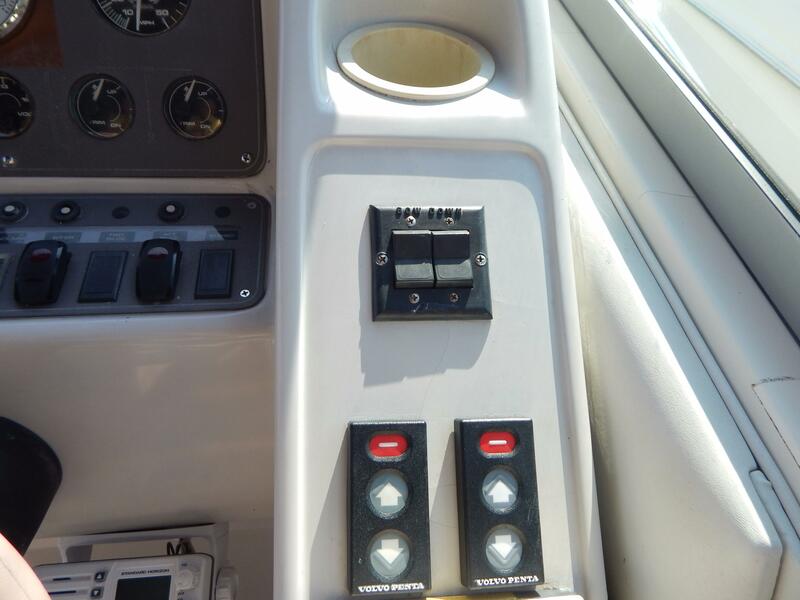 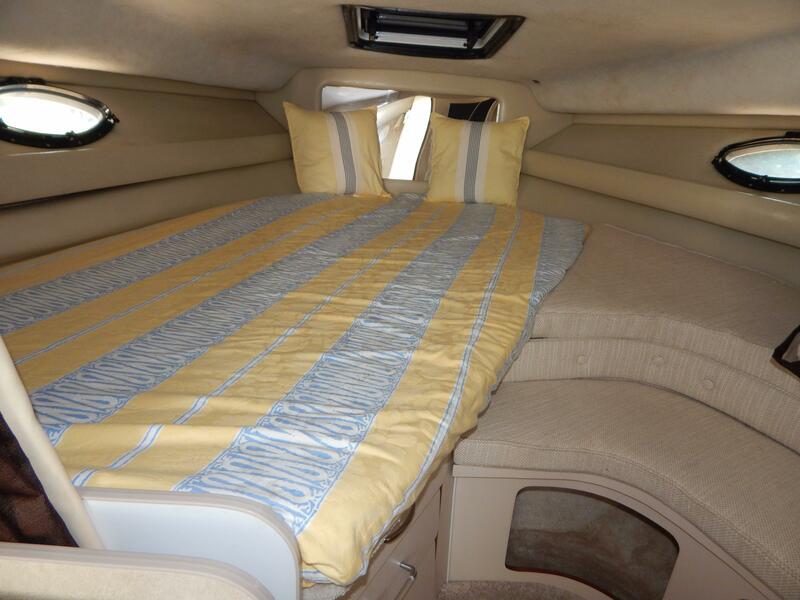 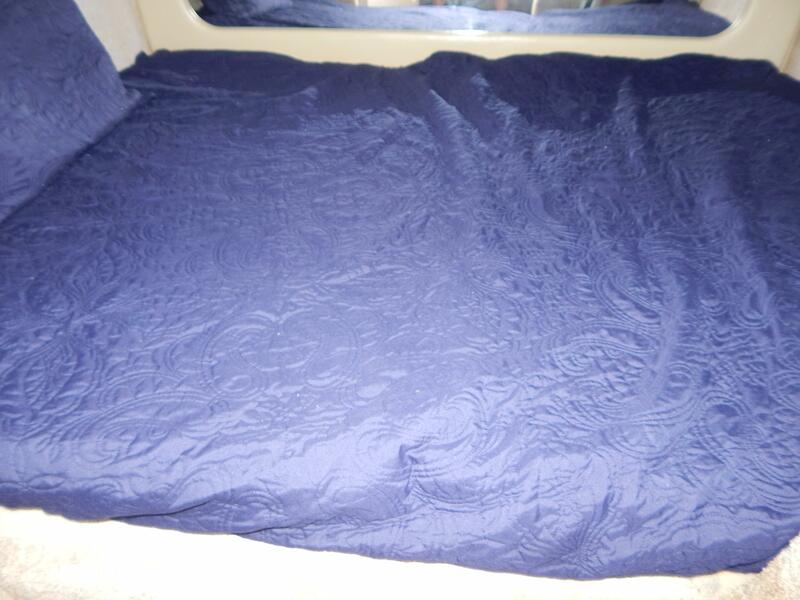 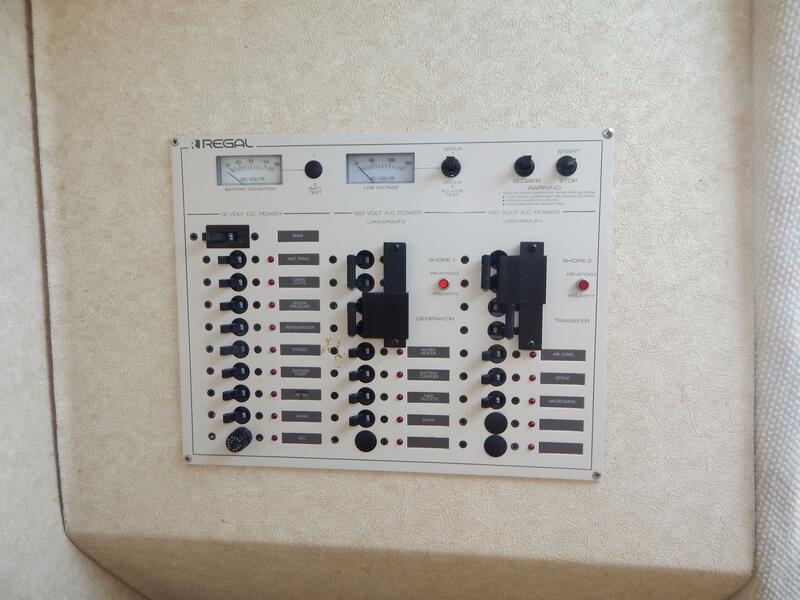 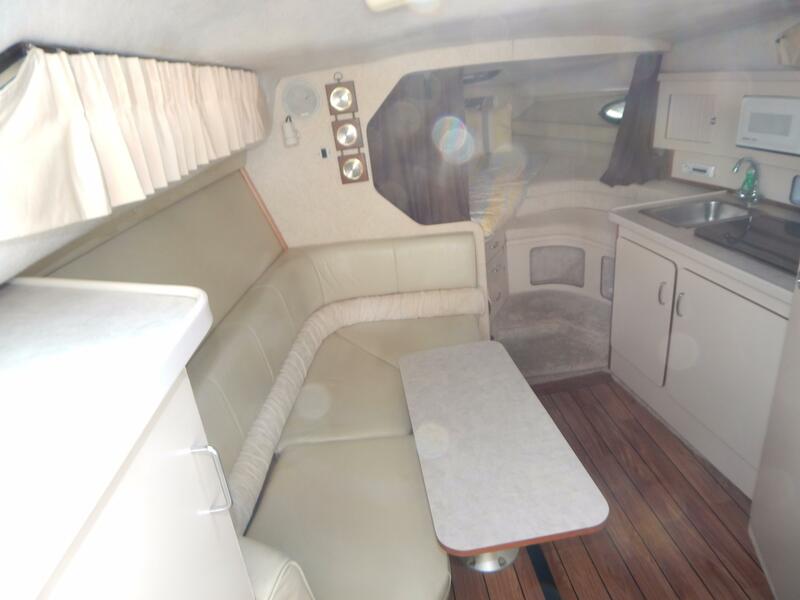 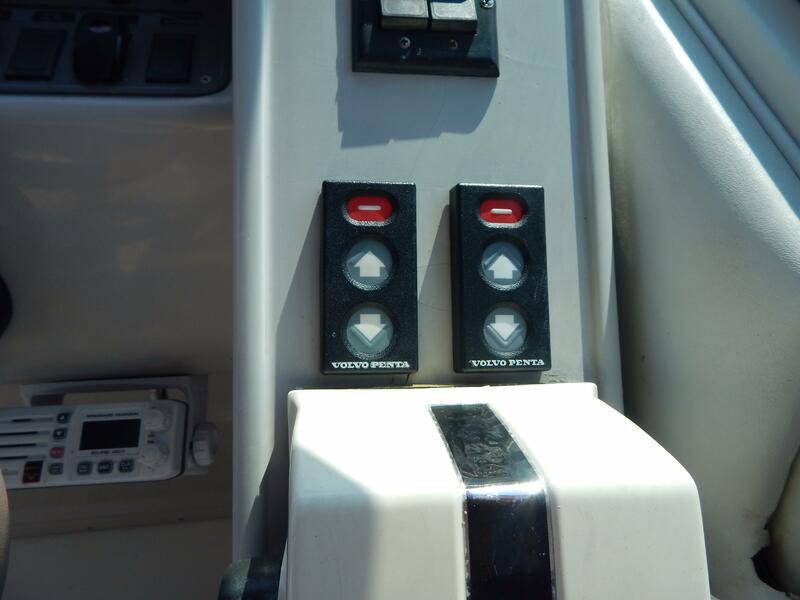 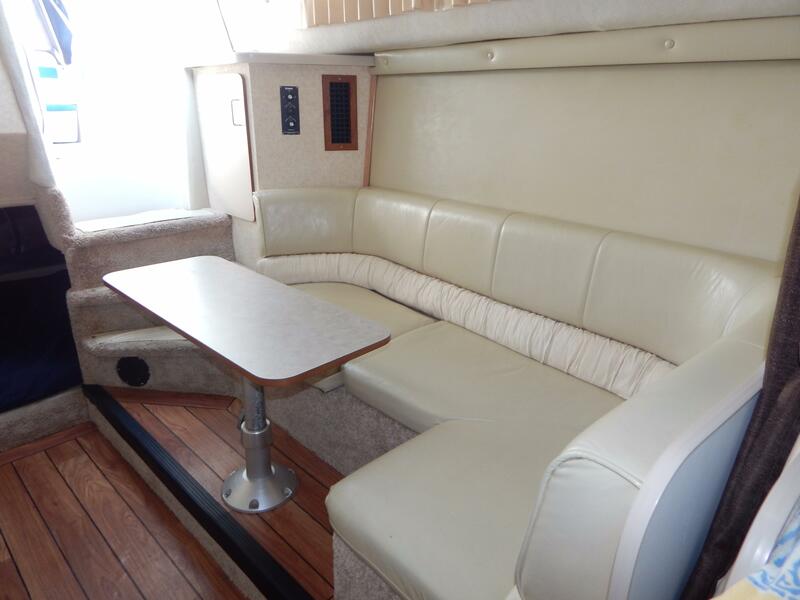 THIS BOAT IS NICELY EQUIPPED WITH AIR CONDITIONING, REVERSE CYCLE HEAT, ELECTRIC HEAD, COMPLETELY EQUIPPED GALLEY, FULL CAMPER CANVAS, ELECTRONICS, SWIM PLATFORM, FLAT SCREEN TV, NEW UPDATES, AND SO MUCH MORE. 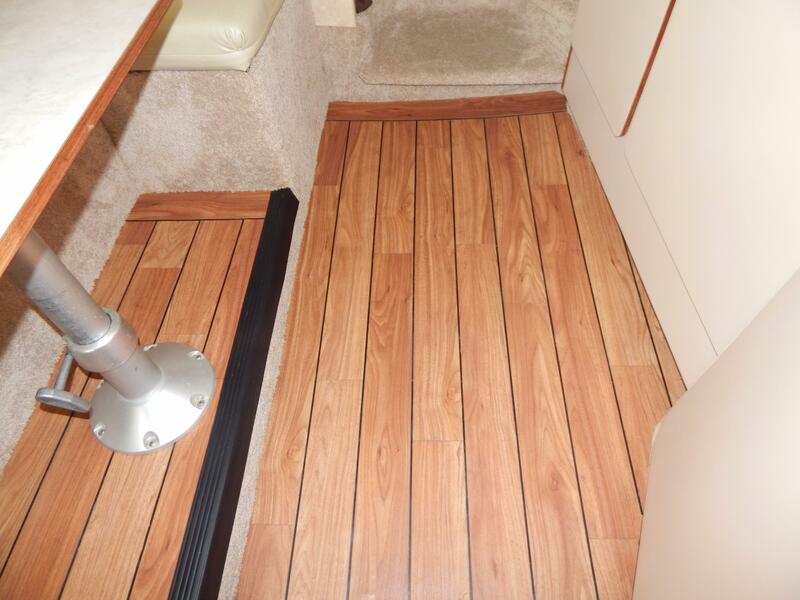 Regal is all about quality and this boat shows it all. 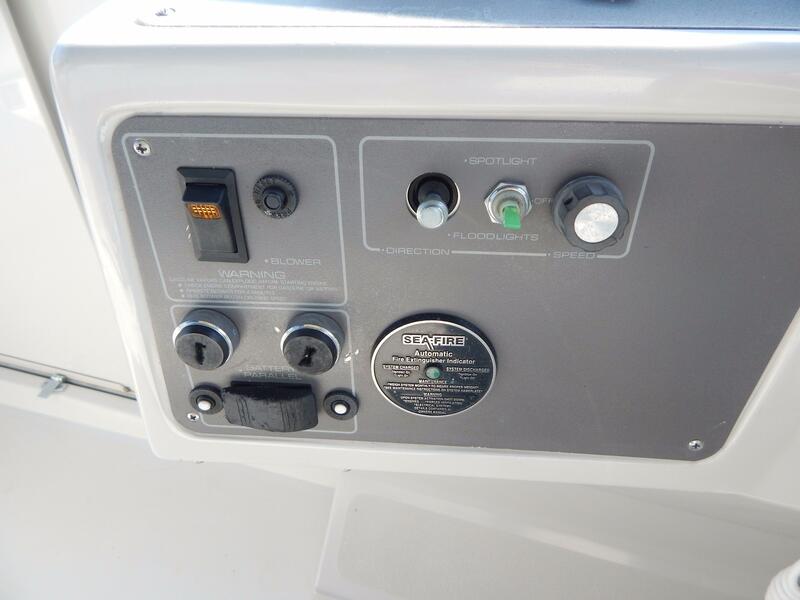 Swim platform is molded in and not bolted on. 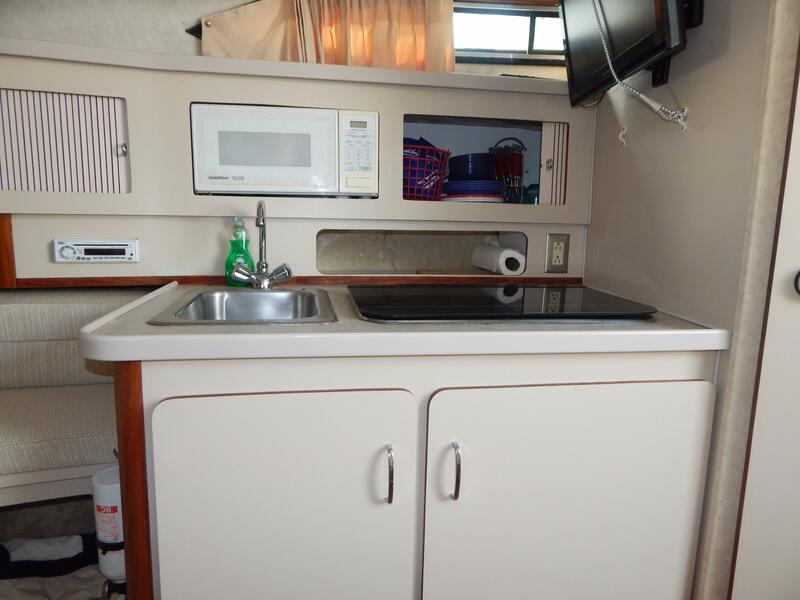 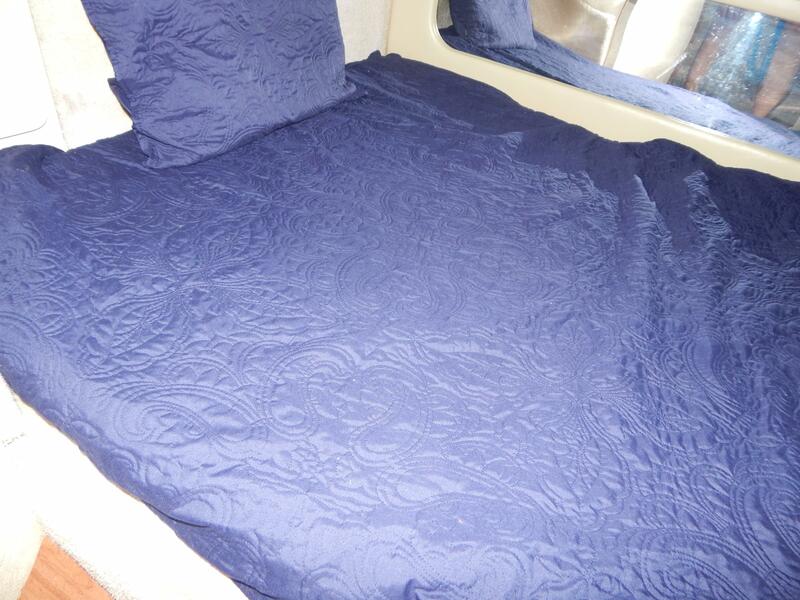 Her well equipped interior with double berths forward and aft, convertible dinette, well equipped galley with microwave and enclosed head with shower. 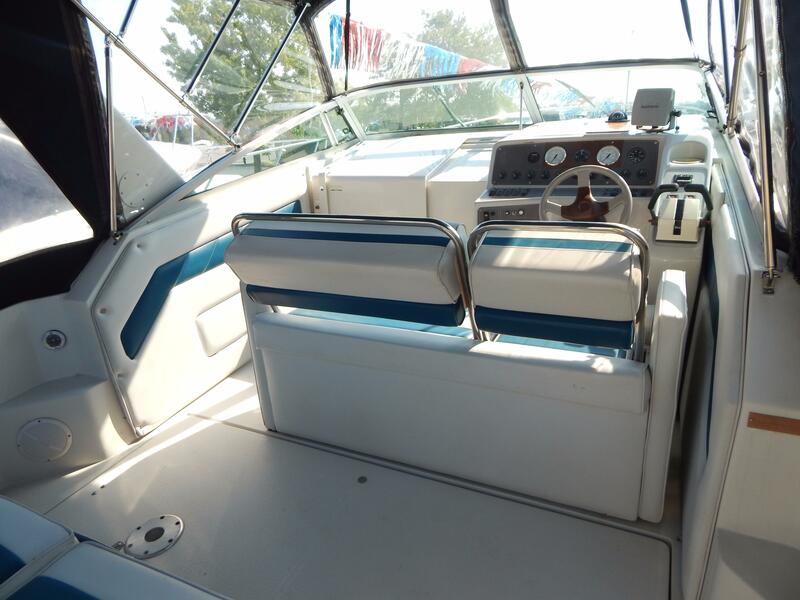 She is built on a solid fiberglass hull.